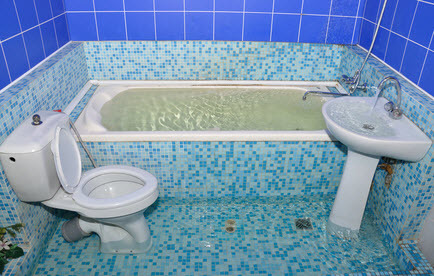 AllStates Restoration provides professional Toilet, Sink, Shower and Bathtub overflow water damage & sewage clean-up services in the NJ and NY location. We respond fast to emergency situations so we can contain the water overflow prior to damages other area of your house. Call AllStates Restoration for quickly, simple and expert help. We offer top of the line cleaning and restoration services in the northeast area at reasonable costs. Our courteous crew is ready to address your call anytime. Our assessments and price quotes are free of charge to help you make the finest decisions possible. We offer a cost-free quote with among our certified experts. We will take care of all communications with the insurance companies regarding the restoration service until it’s done. 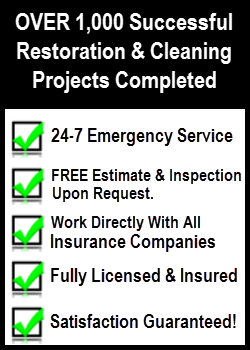 We are a complete restoration contractor. Blocked drains that are left unchecked could create a mess that might trigger damage to flooring and carpets that it settles into. No matter what the problem for sink overflow in the kitchen and bathrooms, AllStates Restoration will be able to assist eliminate the water and bring back your property to its before loss condition. 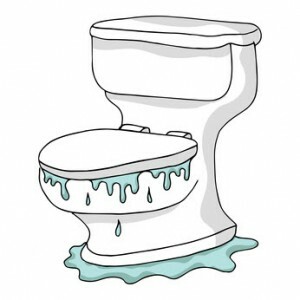 Regardless of what the reason for the overflowing toilet is, flushing a toilet and watching the water and contents climb and flow-over the sides of the bowl is an alarming experience. Toilet water could contaminate your house with unsafe germs and molds that could trigger anything from skin irritation, breathing conditions and mycotoxin poisoning. AllStates Repair has 24/7 emergency response crews that will have the expertise, training, and equipment needed for: sewage backup removal, sewage damage clean up, sewage backup decontamination, and sewage damage repair. The damage from overflowing showers and overflowing bathtubs might be very substantial, mainly if the bathroom is placed on 2nd floor. 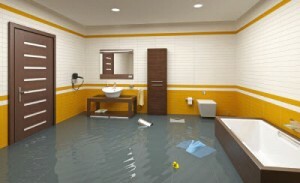 Overflowing water can leak into and wreck floors, walls and ceilings. Contact AllStates Restoration ASAP to begin the process of restoring your the home of its pre-damaged state. A sink overflow can create more than just a wet mess in your family. 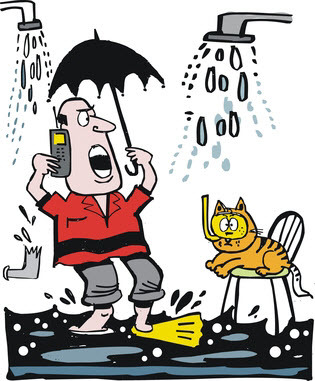 If it leaves control, it can lead to indoor flooding and major water damage in your home. It can likewise create health hazards as sink water is unsanitary, making it a driver for fungal, viral and bacterial development. 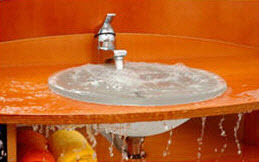 To handle an overruning sink, your best line of defense is always to prevent it from taking place in the first place. Don’t dispose of food scraps with your sink. They might suit the drain, but as more and more food particles collect, they can form a solid blockage that will limit water movement. Just because fat, oil and grease look fluid does not mean they’ll go right together with water to the sewers. These substances can deposit and solidify in your water drainage pipeline and trigger a clog later on. Avoid getting hair into your sink. Like hard food particles, hair can pile up, ball up and create a barrier that avoids the way out of water into the sewer system. Always have a drain cover to filter out large, strong items that could fall into your sink’s drain pipe. Remove them only when cleaning your sink. Do not let your kids play with water in your sink. Children can get really imaginative and they have been known to try and flush small toys down sink drains. Action figures and toy cars are a few of the most hard clogs to clear, so educate your kids on this subject early. At AllStates Restoration, we understand that not everyone has the time and energy to repair an overflowing sink or buthtub. We’re happy to tell you that we’re standing by 24 hours a day, seven days a week, through the entire year to take your call and help you out. Call us now to get friendly help from our knowledgeable staff. You can also drop an inquiry over at our Contact Us page. For all your water over-flow needs in the NJ NY area, trust in AllStates Restoration to get the job-done. To schedule Toilet, Sink and Bathtub Overflow Water Removal appointment, call 888-651-2532 or click here.